Is your memory of 'church' a hard wooden pew, cold outdoor toilets, old organ songs and 'never-ending'? And we know that most people don't want to bring their kids (or themselves) to that kind of church. 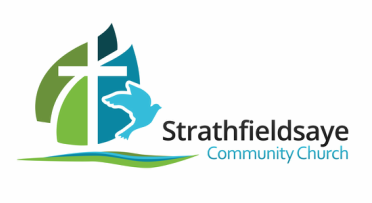 So we offer different opportunities to experience the community of God's people here in Strathfieldsaye. We are committed to the Bible and following Jesus Christ, and we understand that He is with us in new ways of doing Church just as He is in the traditional ways. Traditional worship, and still welcoming for children. Regular "kids spot" and children's activities to keep them occupied while parents listen. Playgroup Strathfieldsaye will not be meeting in Term 4 2018. For more information: Mobile 0403 902 774. Runs twice a year (Easter and October holidays). Usually three days long, in the mornings (9.30am to 12.30pm). Games, challenges (with prizes), Bible stories and singing. Fun leaders and new friends!